In a neo-modern business environment delivering marketing campaigns that directly address customers remains the fool-proof communication method. Despite the social media revolution, marketers understand that half the battle is won with accurate mailing lists of customers. The challenge though is ensuring mailing lists are current and updated! Outsource2india offers mailing list compilation services for existing and new mailing lists by generating, managing, editing, sanitizing, eliminating duplicates and reconnecting broken data. O2I's data management team has the required research acumen, organizational aptitude, and awareness to generate a mailing list compilation so clients enjoy high success rates with their marketing campaigns. Outsource2india has a team of data management specialists who have the expertise to handle mailing list compilation services. Once you outsource mailing list compilation to us, we will compile mailing lists from multiple sources and tactfully extract information from sources like printed directories, internet, electronic documents or plain raw data which requires cleaning and sorting. Mailing List Data Sorting and Cleansing Services - Outsource2india can eliminate missing address components by re-sorting files, saving on postage and wastage of print. Team O2I is adept at separating 'to and from' combined fields into separate database columns where the team can meticulously verify every single component including street, city, state, and zip code. Once you outsource mailing list compilation services to us, out team can also proof read, identify gender and standardize addresses as required by the postal department. Mailing List Data Entry and Formatting Services - Outsource2india can compile consumer and business mailing lists which require updating or validating an existing database. Based on raw data provided by customers, the team inserts or removes addresses, collates mailing data by splitting or combining multiple fields like contact, city, state, zip code. We also undertake formatting of zip codes based on phone numbers to increase not just readability but accurate reach. 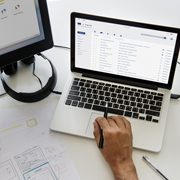 Better Focus on Core Strengths - By outsourcing mailing list compilation services to O2I customers can concentrate on their core marketing strategies and strengths especially in order to survive a fiercely competitive environment. Best of Technology and Resources - Outsource2india has a team of trained data entry operators with the expertise in mailing list compilation services. 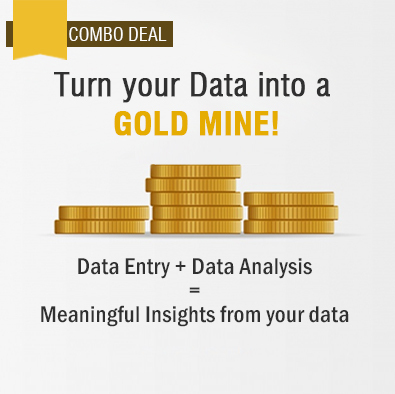 Backed with the latest technological tools, they can comfortably turnaround large volumes of data into marketing goldmine within stipulated period of time. Superior Project Management - Outsource2india has a robust project process in place which is stringent. Our project managers engage in every step of the way, right from signing up with the customer to interacting with the operations team for delivery of the job. O2I maintains regular communications, high quality and stringent timelines throughout the process to ensure mailing list compilation is accurate. Assurance of Quality - Outsource2india offers best-in-class services and adhere to stringent Quality practices. On completion of the mailing list compilation - the output list is checked by a dedicated team of editors to ensure every element in the scope of work is captured. Outsource2india understands the need for a proper mailing list compilation and with the booming of database companies, buying mailing lists is the order of the day. O2I understands that data accuracy is important and with highly strategic initiatives of marketers, a clean accurate mailing list is where it starts. When O2I is chosen as an outsourced partner for mailing list compilation services, we ensure every aspect in the list is thoroughly verified and then processed. With our policy of open dialog and transparent communication we deliver the best services possible. Do contact us for our mailing list compilation services, and we will be able to offer some of the best solutions in the industry.